Well, that isn’t easy to instant kill her like tank and spank. Oh hello the worst party ever, most dumb raging peoples and tsunderes! Because there is two Fencers. Murmillo and Fcencer C3 we can see how lack is rapier without epee. That mean all pelta2/rodo2/fencer/murmillo have a big problem now. @lostac like i said Tree of Mythic… whole this dungeon we cleared in… 7 HOURS! Just how bad we are! Will i regret not taking one circle of pelasta ? Depends on how you see peltasta. In my case, I’ll regret it. I want evasion and taunt on my fencer. but If I’m building a doppel for example, I want HL more than pelt. As we all know, green gems gives a higher critical rate bonus to our offhand than to the main hand. A lv 6 green gem gives 42 critical rate and we usually wear it on a Karacha Dagger, so 42+11 critical rate and 11 evasion + damage/critical rate awakening if you’re luck. Only recently I realized that the new shield Didel Tower Shield (ok, this one is not so new) has two, TWO slots for gems. Two lv 6 green gems would give us 84 critical rate. In a two lv 7 gems scenario: Karacha = 68 +up to 14 from a possible awakening vs 114 from the two slots shield. There’s also the New Lion Dagger: 12 dex, 8 evasion and 321 fire damage so we might consider this dagger too. Rapier mastery’s +15% damage and some evasion vs extra critical rate and super strong block on demand (for pelts, Epee garde kills the shield’s defense, but block and extra physical def on C guard still works). How much DPS I’ll loss when wearing a shield? So with shield you will lose 15% from rapier mastery and elemental from dagger 153 + 61 medium mobs, in basic scenarios can be at least 1k more damage excluding epee. Each lv 7 green gem on offhand = 7,25% critical chance on 330 targets with 0 critical resistence. Here there is a drop of 6,1% on your critical chance. 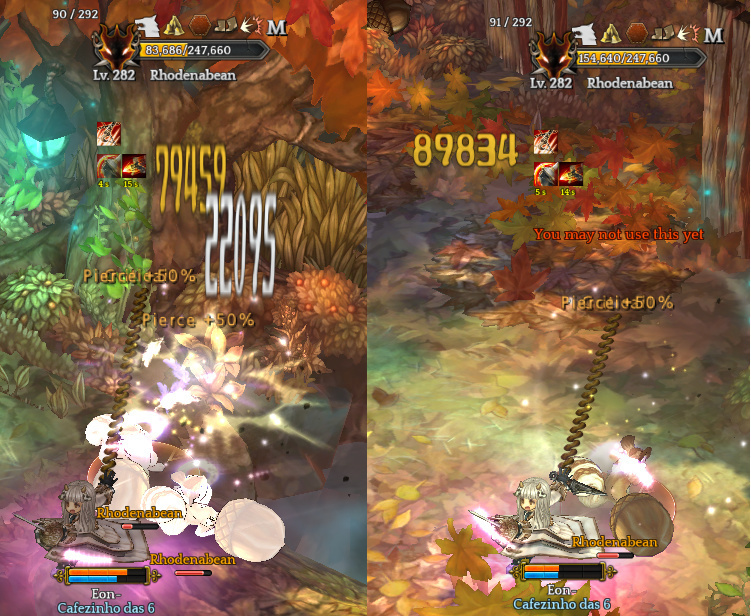 Conclusion: Only in high base damage skills(brust) you will have a noticiable damage drop. In lower damage scenario, I think you can live with it. I’m gonna get the new dank dagger with 2 slots as well as the new shield. Probably will take me quite awhile since I’ll need to roll more alts to get practonium but w/e. Tried many other places, seems that Lhadar forest is still the best to solo grind as fencer. If you’re building it for PVP it might work. You can’t stun a masked Plague Doctor party, as an example. Take at least 1 Corsair if you can. For PVE this build might work, but I would advise choosing something else. Thanks for the numbers man, shield is getting more interesting than ever, lol. This dagger has only 1 socket. Better go with lionhead dagger with fire attack 321. 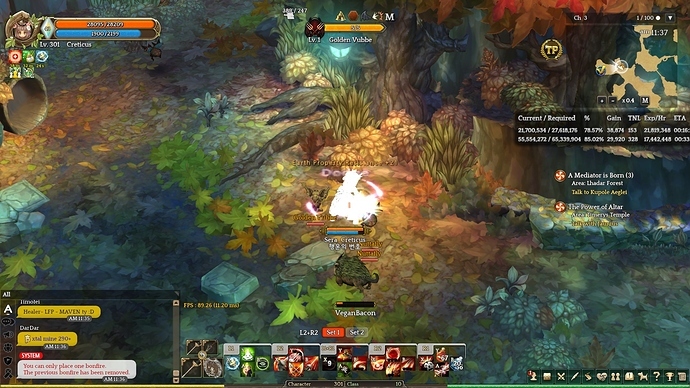 Lionhead only has 1 slot. Idk really. I need that emengard shield tho. Lol, too many drawbacks hehe. That shield is really beautiful. hmmm, if 1.8k evasion not helping. then how much dex should i put in? i a, currently lvl261 with 228 invested dex with 6 lvl10 ella card, total dex 372. So I saw this at the STR vs DEX thread. now I’m confused as what to do. lmao. Some skills seem to hit regardless whether you have 0 evasion or 2 million. They fundamentally changed some skills to always hit…without telling anyone. I really need to rework my action bar. With all the new skills, I have ran out of space and having to switch to 2nd set for buffs and pots is a bit awkward. I would use keyboard mode but sticks are much better than directional keys. Maybe I should try mouse mode. 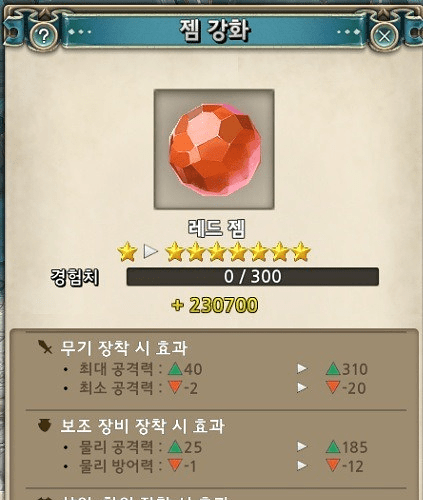 Ktos buffed red gem, yellow gem and blue gem. With this pic, I can say they buffed this gem in 10x. That 310 is max attack(before was 31) so in offhand that will boost PA in 370? If yes, a 0 str build will be common. Edit: In offhand was buffed by 5 times. So 185 PA in level 7. Question now is, did Fencer should take this gems instead green in main weapon? Actually 3 green gems give us 79 crit ratio so this is 1/10 what we need for 100% crit chance. Me now withou Virtrov gloves have 481 crit ratio with both Sissel Bracelets and other items give DEX like Karacha or Max Petamion. Whole our problem lies in the lack of a new rapier. I’d love rapier in the same style as the dagger. In this case, Taking a shield with 2 level 7 red gems can cover and add more damage with no regrets on lose 15% damage from rapier mastery. Fencer + shield will be the new meta? Don’t think so because all depend now on new amulet system. I think amulets is in game a long time.